As I read, I take notes. I take so many notes that by the end of the year, I have a few hundred pages of them. 1. We see birds all of the time, and I know they can hear, but I can't help but wonder: Where are their ears? 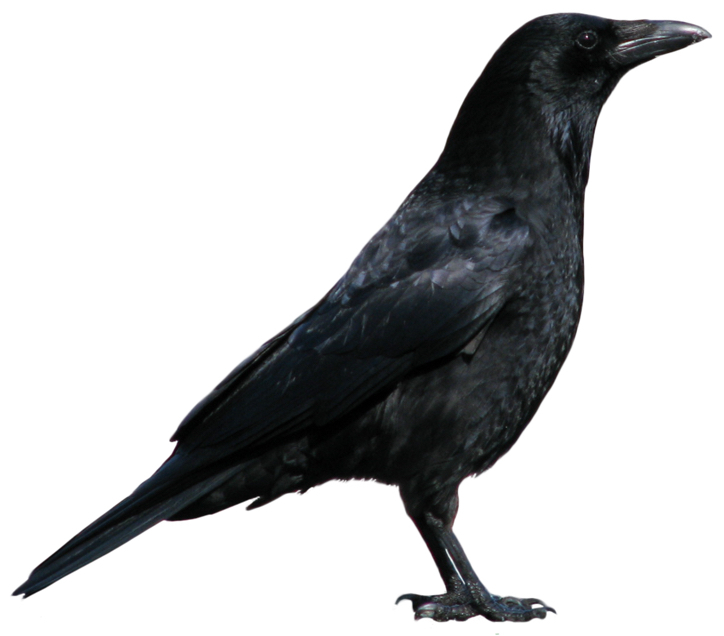 What does the ear of an owl or crow look like? 2. As you know, mammal embryos depend on a placenta for nutrition via their mother until birth. Egg-laying animals provide a yolk for their embryos for feeding until hatching. But I've heard about a few other ways in which some animal embryos get nutrition while still in utero that's from a surprising source. What are three other strategies for embryos to get nutrients while still in their mother's uterus? 3. Speaking of giving birth, I read that virgin births are fairly common in certain kinds of animals. Can you find which vertebrates are able to give birth without having to bother with all of the process of finding and joining with a mate? As always, if you don't have time to do all three, just let us know what you found on just one. Collectively, we'll all learn from everyone else's search process and results. 1. How do you find the "best" place for your collection of artifacts from another time? Is there a strategy to match your collection with an interested buyer / acquirer? That is, how would you find a good home for your collection? Several Regular Readers wrote in with great advice which I condense below (with a couple of my own observations). This quick search shows me that there are 4 organizations that might well be interested in your collection. Remember to also check in with your local library. Many libraries have local archive collections. If you've got old photos or newspapers, be sure to check with them. As Deb and Anne pointed out, you might want to check places that have a national scope if your collection might be of broader interest. Their story of a friend taking audio tapes of NPR broadcasts to the Library of Congress (for their Archive of American Broadcasting) is a great story. Consider libraries, archives, museums, historical societies...and in particular, ones that have the ability to handle the kind of media object you have. For instance, near to where I live the USGS has a wonderful map library in Menlo Park with a dedicated page for donations of old maps and land-use images. Jon reminds us that searching for a generalization of the topic is a great search strategy. 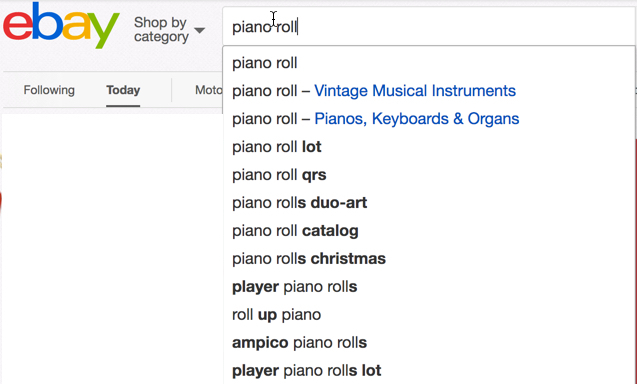 He didn't just search for "piano roll" but for a more general term, "player piano." Don't get locked into a particular term when doing your searches. Steve also tells us that while talking to a local historical society is a great idea, spend some time looking for a professional archivist: many universities and larger colleges have at least one (usually hiding in the library). Lastly, don't forget that great frictionless supply/demand service, eBay. If you can find the items in your collection there, you've got a good sense for (a) whether anyone else finds it interesting, and (b) other terms to describe your object. They have an entire category of "Vintage Musical Instruments" (which might be a handy search term as you look for museums and libraries), as well as other terms you might not know. 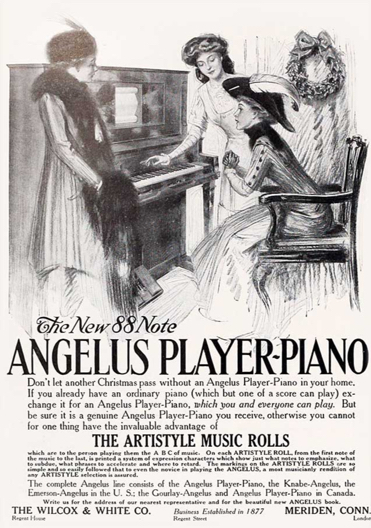 I learned that "QRS," "Ampico," and "Duo-Art" are companies that used to make piano rolls. I also see the term "player piano," which is the generalization that Jon found! 1. Search for local libraries, historical societies, and museums. Search for these at both city and county levels (and if your collection is great, at state or national levels). 2. Search for places that specialize in your particular object. Not every place can handle every kind of thing. If you've got an audio recording or old computer, search for institutions that specialize in that kind of thing. 3. Seek out your local librarian and/or archivist. They often have lots of connections that are difficult to find through regular web search. 4. Look for archivist mailing lists that might connect you with the larger set of interested people. For instance, Archivists.org has a number of private and public mailing lists. Check them out as well. Regular Reader Ann Folsom wrote in with a great question that I wanted to share as a SearchResearch Challenge, especially at this holiday time of the year. Some of us are in the position of downsizing or finding out what's in those trunks in the attic, learning what a family member treasured enough to put away. For instance, I recently heard of a woman unable to find a buyer for her player piano and its 150 piano rolls. In another case, a family member passed away, leaving an enormous collection of lovely, varied, interesting teacups. What happens to family photo albums from 80-90 years ago? The clothing and backgrounds are interesting, and who knows what might be of historic interest to future researchers? I've even seen collections of mounted trophy heads, artwork from painters, journals and magazines in various fields, and personal libraries of books. Where should they go? I'm guessing that somewhere out there, somebody would have loved to have the player piano or the piano rolls. I have no idea how you'd make the connection. Some tech historian might really welcome the electronic collection of Victor computers, attachments, and disks. What would your advice be to Ann? 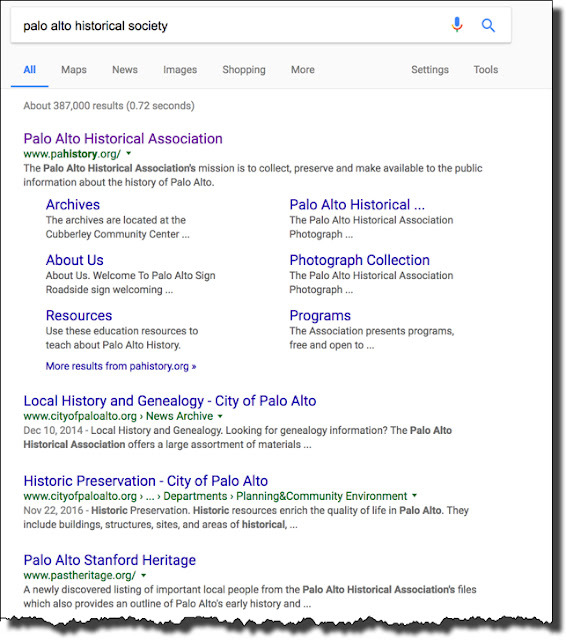 Is there an effective strategy that would match archival artifacts with interested buyers or acquirers? 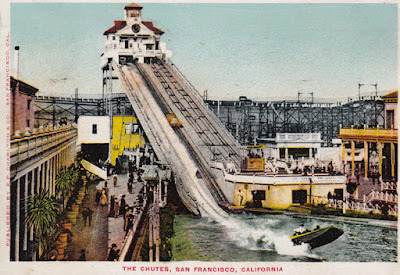 San Francisco, next to Golden Gate Park known as "Beer Town"? You can't make this stuff up. 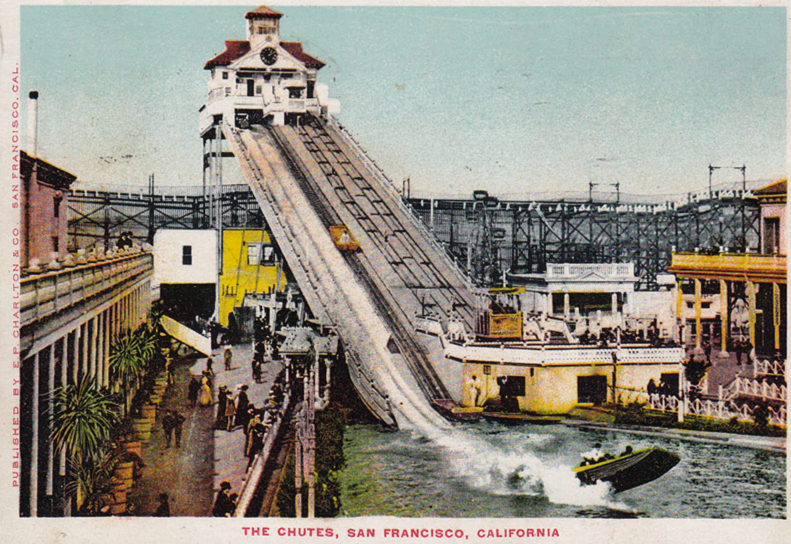 Postcards make the past visible. Answer: Finding a story? Could it happen like that? We've even talked before about how hard this task is. Perhaps this is why people keep coming to librarians and asking these questions. They really want to find that story again, and they can't figure out how to do it. But we've also talked about some research methods for finding lost stories. This week, the story is personal: Now *I* want to find a story, but I'm having trouble finding it. (Details below). Can you help out? I remember reading a short story (that I believe was written sometime in the past few years) about a couple who are hiking across a frozen landscape in winter. One of them (I think it's the man), falls through the ice as he's crossing a frozen lake and disappears. The woman thinks he's fallen into the icy water and drowned, but when she goes to check, it turns out that he's actually fallen into the space beneath the ice that has no water in it. He's alive and well, walking around on the floor of the lake. That is, the lake is somehow empty, but the shell of the ice has remained, and he broke through that. They stay for a while in this magical place beneath the lake ice that is somewhat warm and in some way has mysterious flashes of light. That's the story as I recall it. 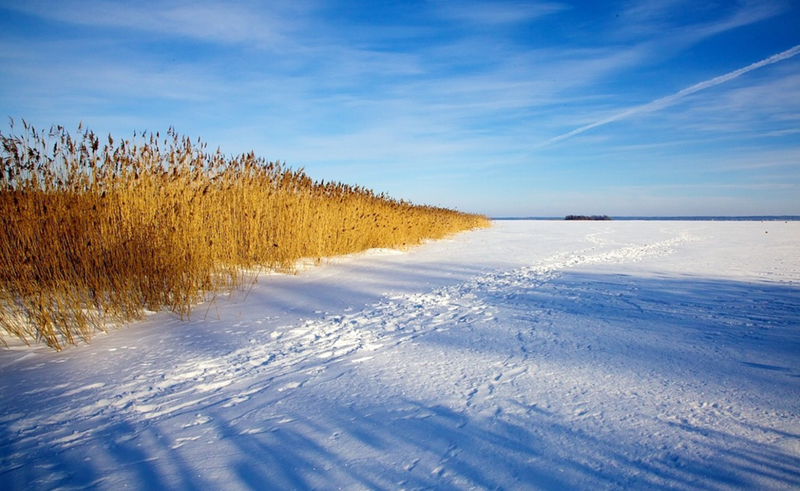 As they traverse the snowy landscape, they visit this remarkable place beneath the surface of the lake. Really? Is such a thing even possible? 1. Can you find this short story for me? What's the title? Who's the author? I'm going to repeat what I wrote the last time discussed a problem like this. Here some story-finding research strategies to try out. 3. Short story index: You should know that there are many short story indexes, including the print editions of Short Story Index, can be identified by searching the Library of Congress online catalog under subject headings such as:, Short Stories, American - Bibliography Short Stories, American - Indexes Short Stories - Bibliography Short Stories - Indexes. Unfortunately, almost none of these index books are available for searching online (they're certainly not in Books.Google.com), even though they would be incredibly useful to have. “..she took one glove off and eased her bare hand down into the hole. She could find no water, and, tentatively, she reached deeper. And while that's a brilliant description, we don't yet know if this is a real phenomenon, or if it's a great story metaphor, a kind of special place that's removed from our ordinary, sublunary world. which led to many pages that have some information. Unfortunately, at this point, it's just click and read through the content. I'm looking for a web page that describes the ice and an air gap to the bottom of the lake. I don't have the scale for this image, but it looks to be fairly large. 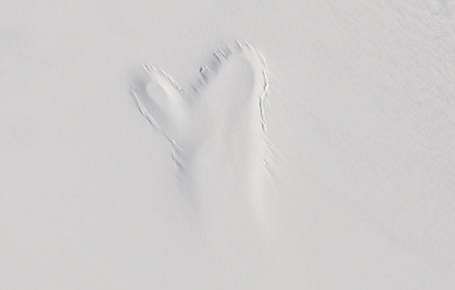 A subglacial lake surface can collapse, leaving a depression in the snow. Aerial photo taken in Greenland. P/C Gizmodo. Then there's the frost heave idea, pointed out by Chris who found a technical paper on frost heaves, which could heave up the bottom of a lake enough to leave a gap. But the paper says the max amount is around 30 cm, which isn't anywhere close to the 8 feet mentioned in the book. The book describes Gray Owl as falling through the ice after walking on it for a bit. That implies a certain kind of structural strength to the ice. It was strong enough to support him for a while, but then thin enough to break under his weight. The ice that Gray Owl is walking on is supported all around the edge of the lake, right? So the structural strength of the ice is going to be limited by how far it is between the lake edges. Ice is pretty heavy and isn't that strong when trying to support a wide gap. In other words, if the lake is 100 yards across, and the middle is 8 feet deep, that's a LOT of ice weight to support in the center. We could probably do a bit of fancy math with structural equations (after looking up the shear strength of ice--if you're curious, I recommend the highly technical, but fascinating, Ice Handbook which tells you how to calculate all the stresses and loads). The bottom line here is that to support a shell of ice over a drained lake without any internal additional support structures, you'd need the ice thickness to be.... well, let's just say it's MUCH thicker than it would take for a man's weight to break it! This is starting to sound a bit unlikely. 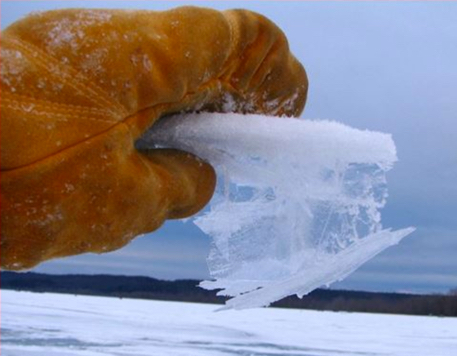 I kept looking for more web documents that describe air gaps beneath frozen lakes and ended up finding an interesting resource after going to page 2 : Lake Ice Glossary, which defines MANY terms for ice, including a few ones that sound plausible. I learned that Dry shell ice is a shell of ice that covers a "puddle" that has drained away. Then there's Soufflé Shell Ice, which is a kind of dry shell ice that forms when deep puddles drain in cold conditions. This can create a relatively unusual form of shell ice that typically has a crust on top and a supporting matrix of ice flakes underneath. It can be over 1 foot thick from top to lake bed. P/C Lakeice Glossary. It seems pretty clear that soufflé shell ice could be the inspiration for the dry lake bed of the short story, although it probably wouldn't be quite as clear and empty as described in the story, but filled with a light matrix of ice flakes that give support to the ice above. It would be quite an extraordinary event to have an ice shell that covers a lake large enough to be 8 feet deep AND wide enough to have a thin shell that can support a man's weight, yet one that's still breakable by Grey Owl. Two things strike me about this Challenge. First, the term "soufflé shell ice" is ONLY used at the Lakeice site, and doesn't seem to be used anywhere else. The site seems fairly authoritative (its depth of coverage and documentation of different kinds of lake ice is impressive), but the authors of this site might have coined an idiosyncratic term that's not widely used elsewhere. Second, given ALL of the research that goes into ice (there are millions of results when you search on Scholar), and all of the specialized vocabulary on the topic of ice, properties of ice, and the structures it forms (see glossary of ice terms), it seems strange that there does NOT seem to be a specialized term (other than at Lakeice) for this phenomenon. Sastrugi Sharp, irregular, parallel ridges formed on a snow surface by wind erosion and deposition. Polynya Any non-linear shaped opening enclosed by ice. May contain brash ice and/or be covered with new ice, nilas or young ice; submariners refer to these as skylights. Grease ice A stage of freezing, later than that of frazil ice, in which the crystals have coagulated to form a soupy layer on the surface. Grease ice reflects little light, giving the sea a matte appearance. Sermik A body of ice (usually with some firn) formed by the metamorphosis of snow, lying wholly or largely on land, and showing evidence of present or former flow. Of course, that doesn't prove this under-the-lake-ice-gap doesn't exist, merely that it's not well documented in the literature available on the web. But I gave this a pretty good shot, checking Google Scholar, newspaper accounts, and I even tried my favorite reverse dictionary to seek out any specialized terms for this... but failed. But after investing several hours on this, the next step would be to activate my social network, and reach out to either the author (no success so far), or other writers in this area. I haven't started that process, but if I were really interested, that would be the next step to pursue. It could be the soufflé shell ice that we read about above. I'm not sure that this would be structurally sound enough to support a shell over an 8-foot air gap, but it's a working hypothesis. For right now, we found the short story (fairly easily too), but have to leave the mysterious space under the lake as part of Bass' lovely story. Maybe soufflé, but as yet still unknown. If you meet Rick Bass on the road, ask him for me, will you?